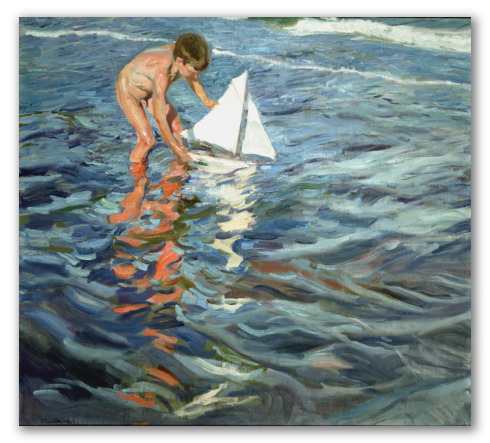 "The Little Yacht" by Sorolla, Oil Painting Reproduction. This painting is entitled "El Balandrito" (in Spanish); "The Little Yacht" (in English). Work of art by Joaquín Sorolla y Bastida. 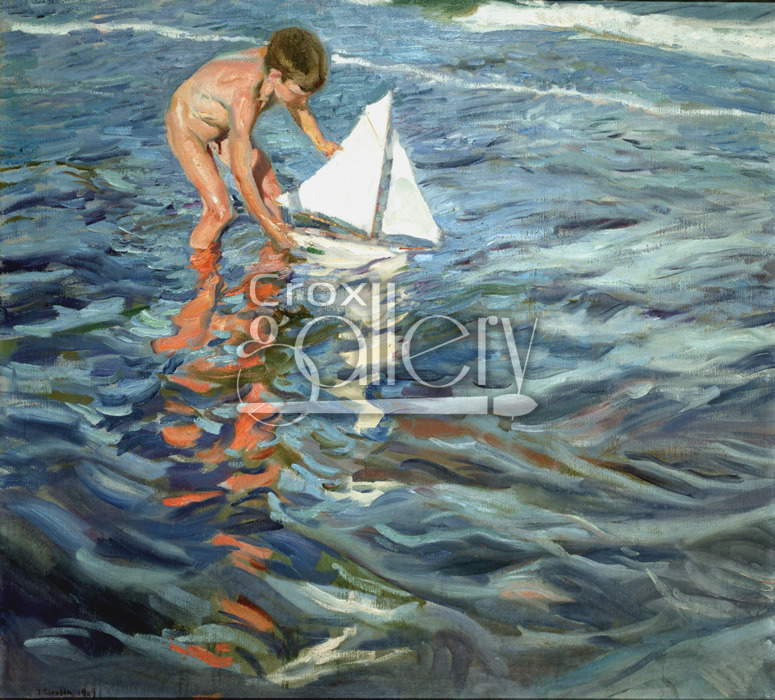 It displays a young boy playing with a toy sailboat at the beach.